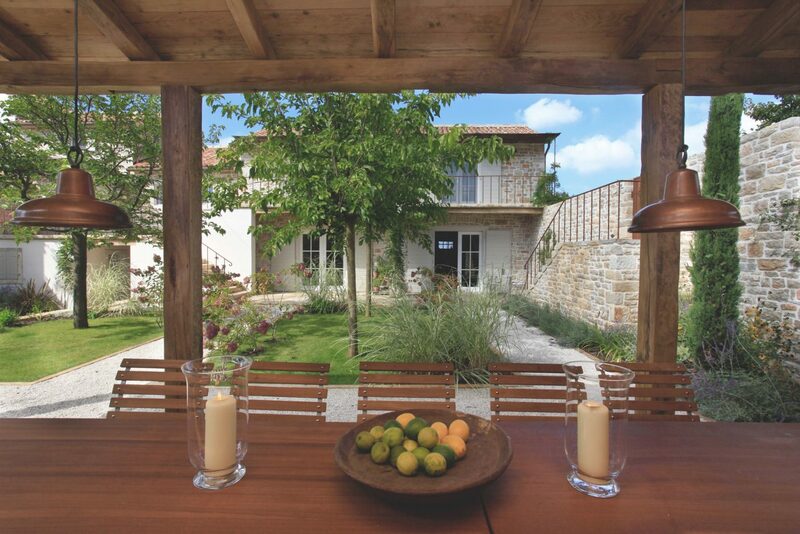 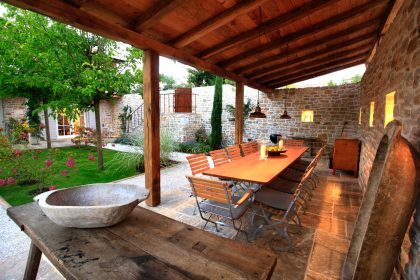 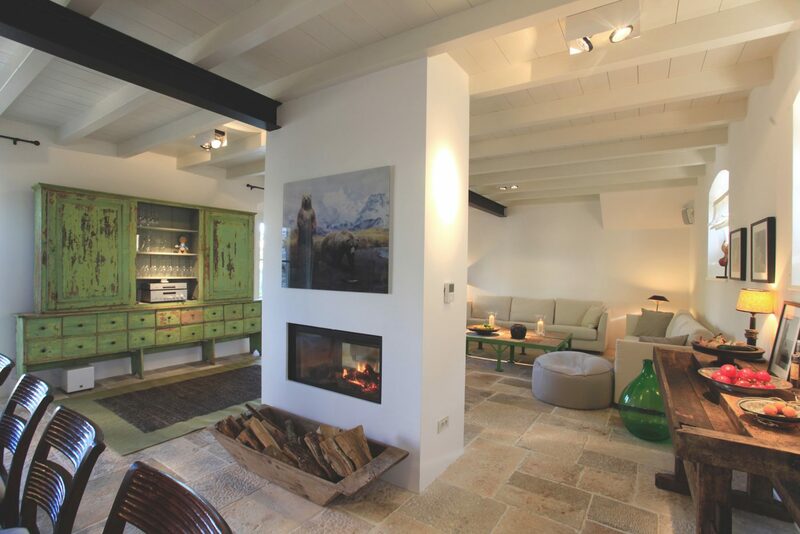 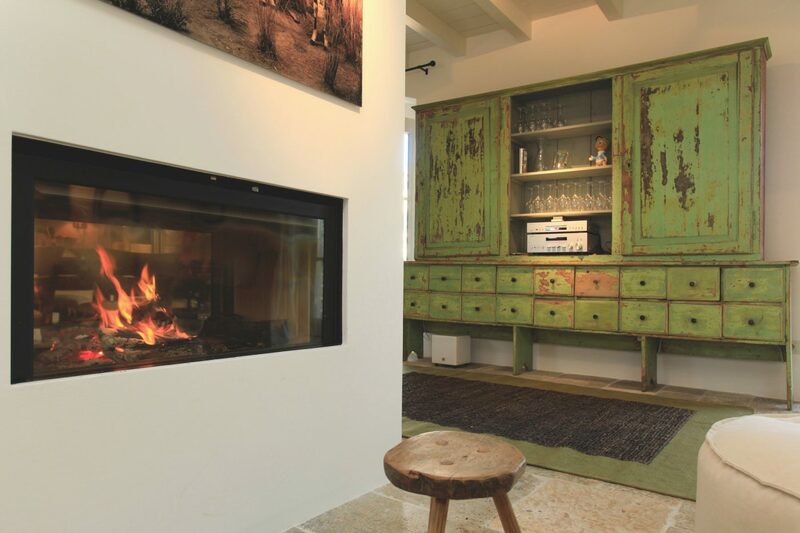 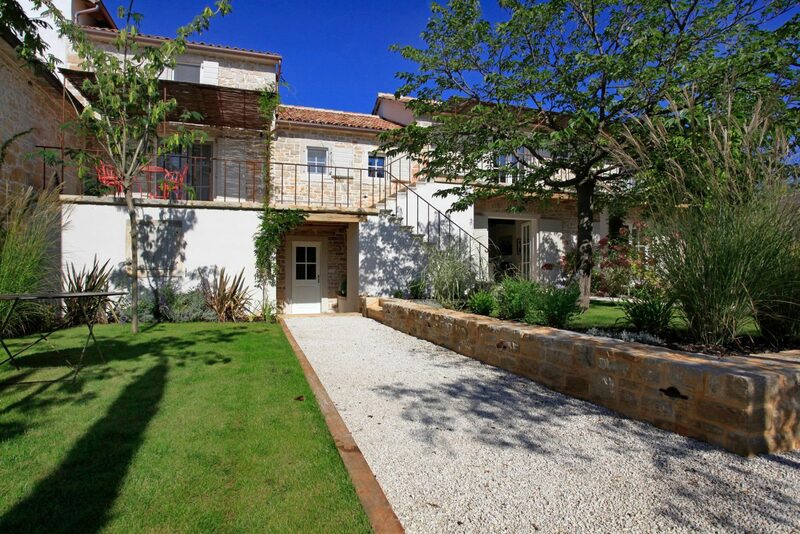 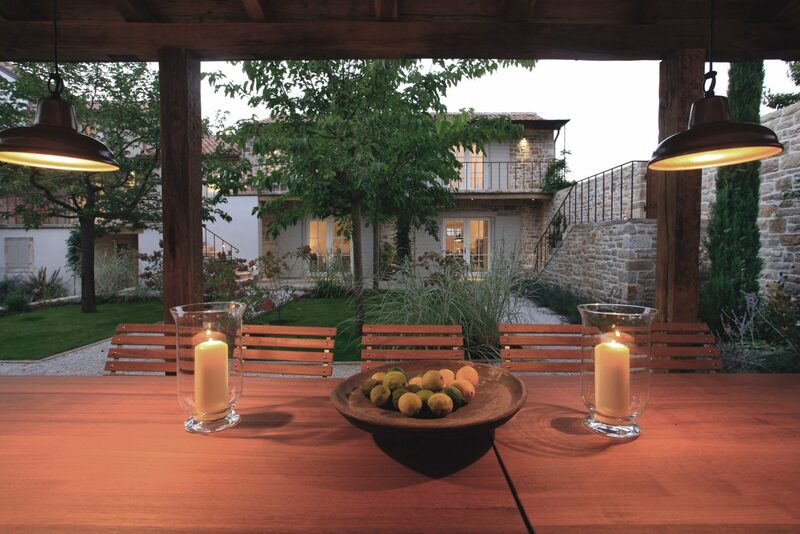 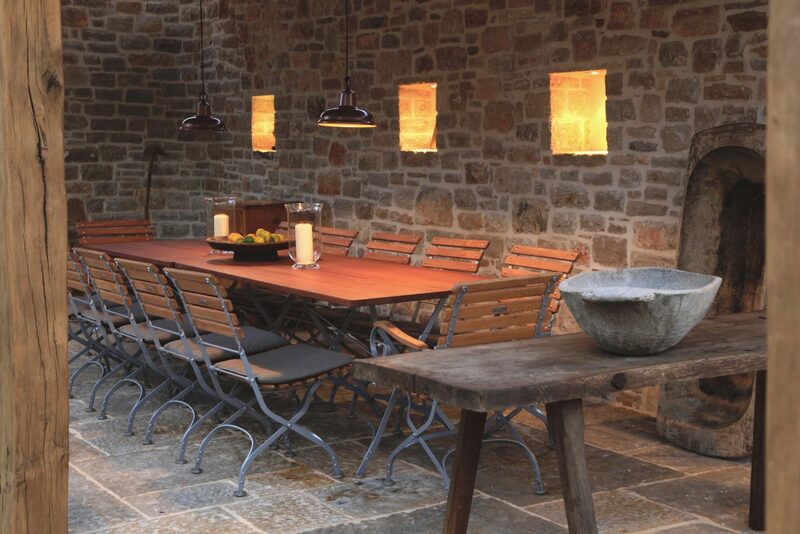 The house is on the beautiful and private Prascari Estate in Istria. 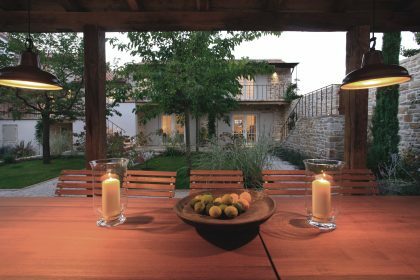 This charming, authentic hamlet features beautifully restored houses surrounded by lush greenery and amazing views. The estate is surrounded by fields, olive groves, vineyards and truffle forests and the are native Boskarin cattle grazing nearby (you can hear their cow bells gently ringing as you approach). 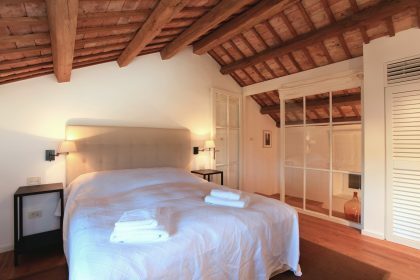 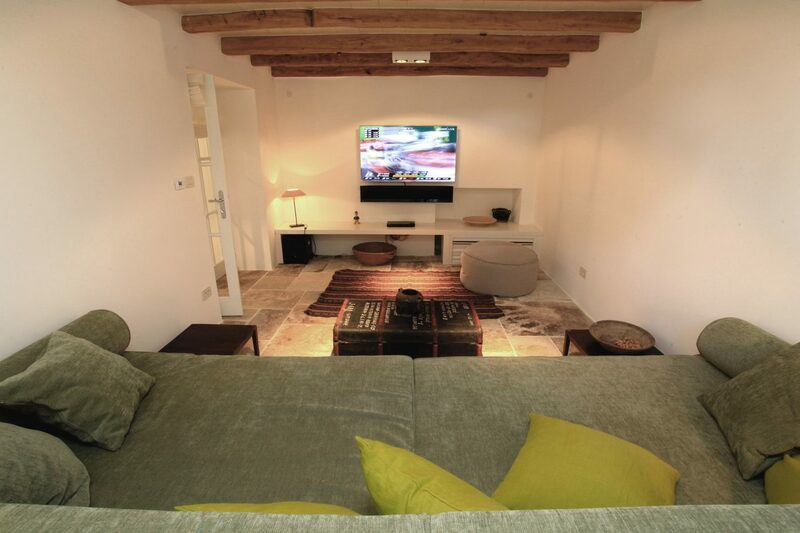 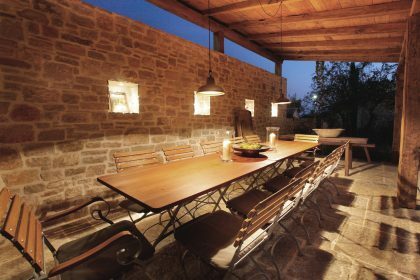 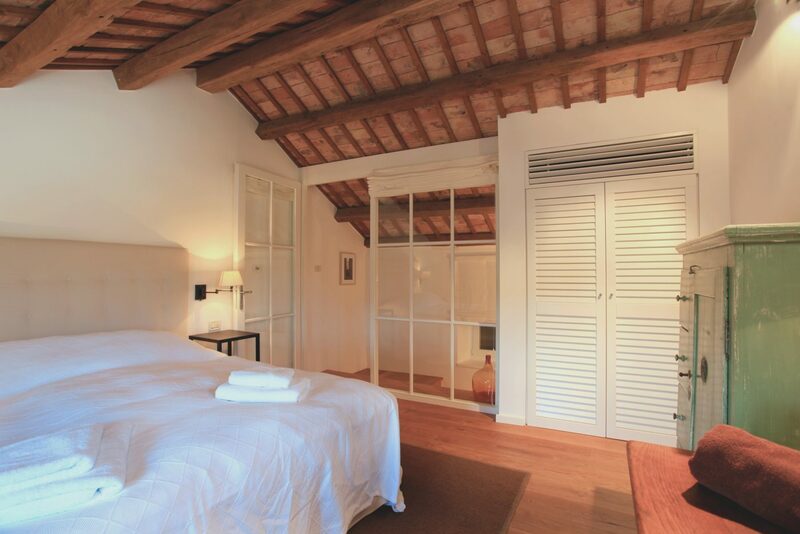 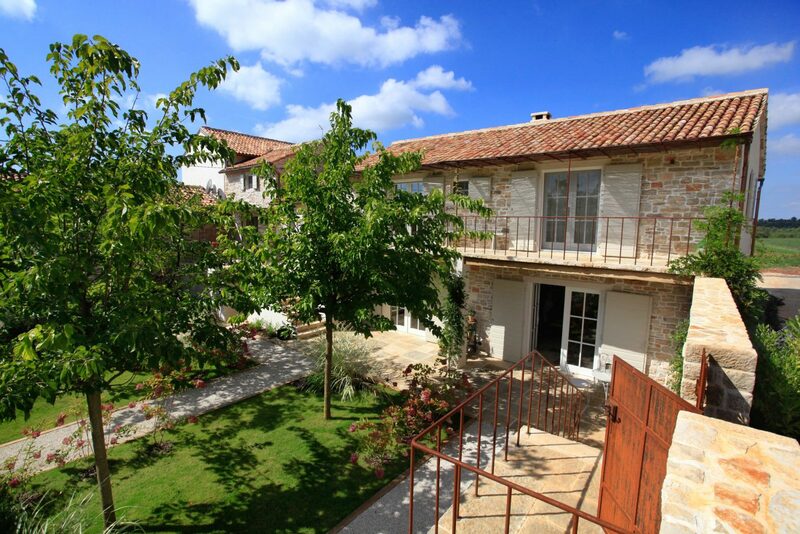 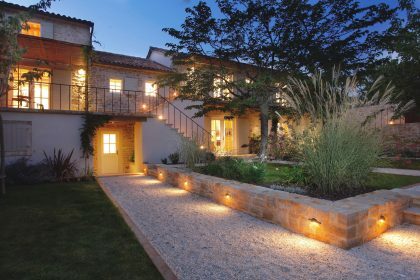 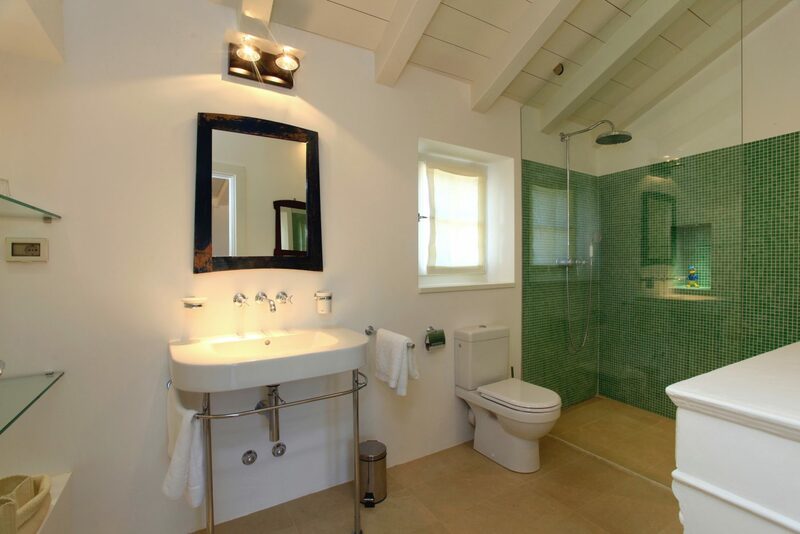 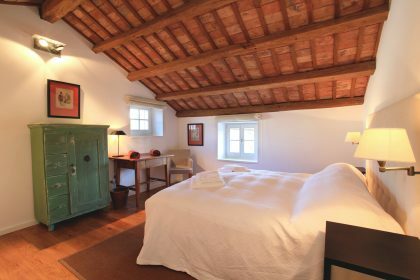 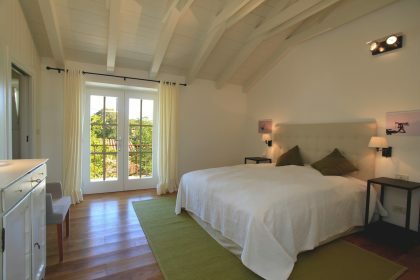 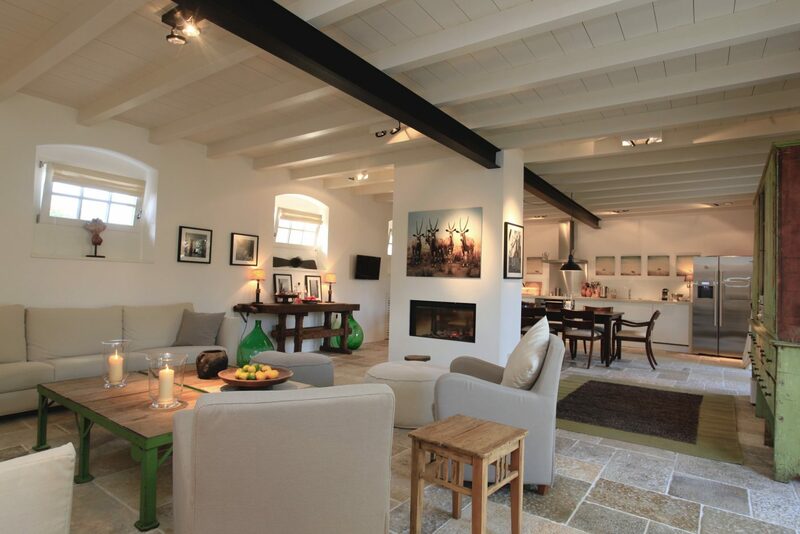 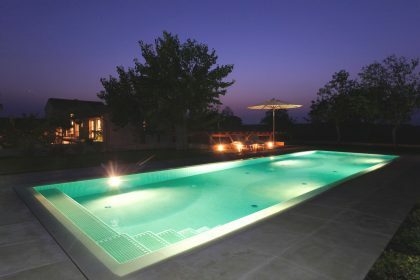 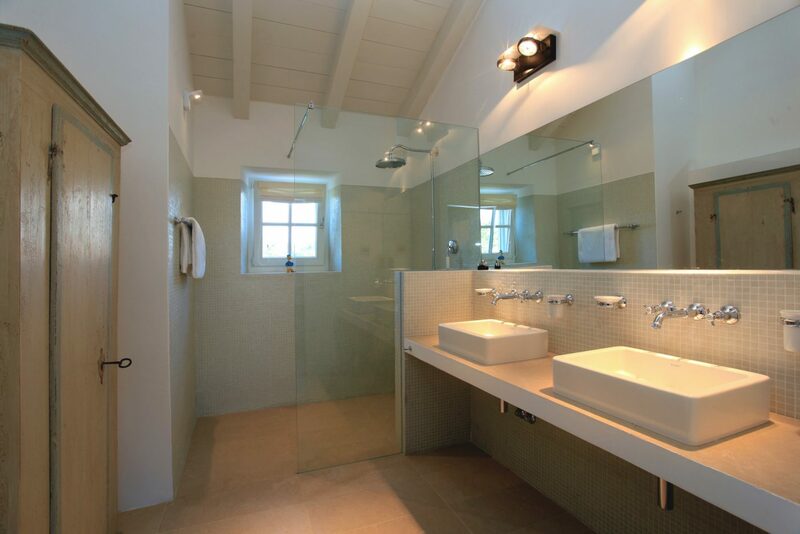 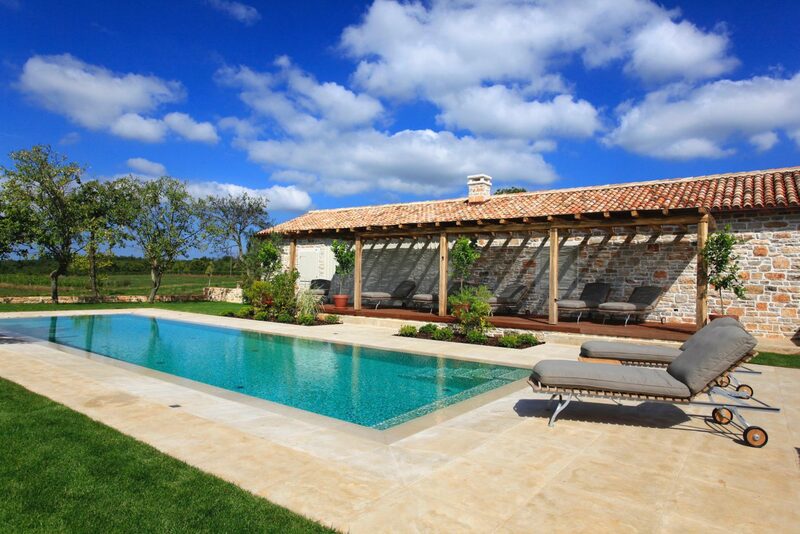 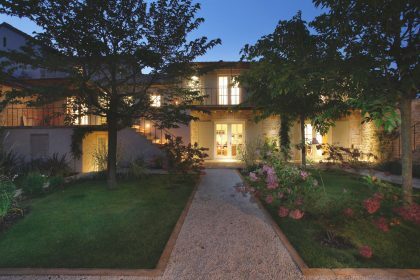 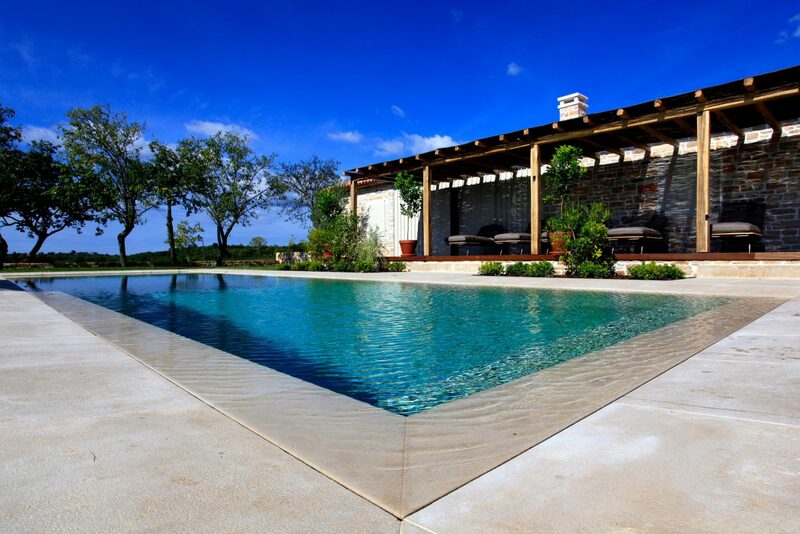 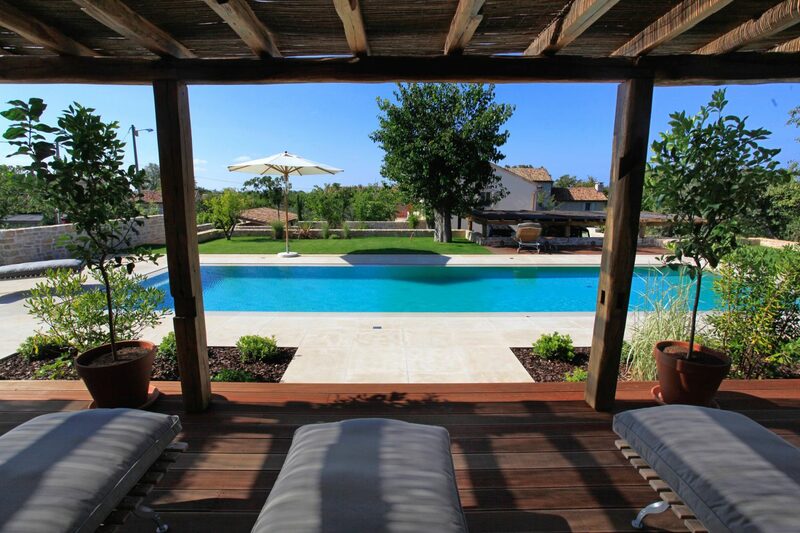 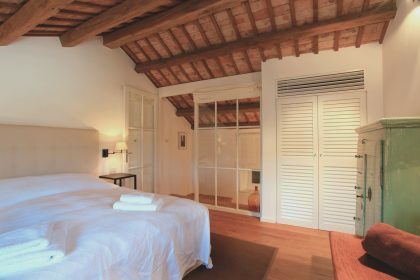 Villa Cipresso can be booked in conjunction with Villa Moro, to sleep a total of 14 people. 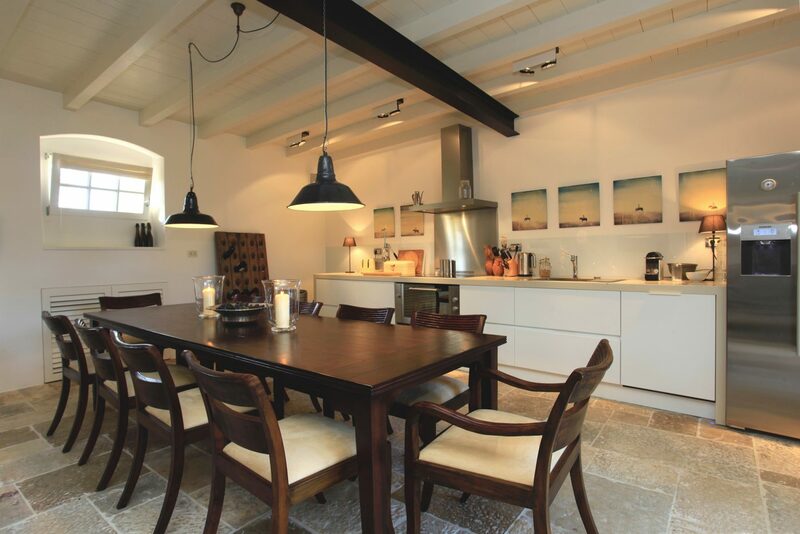 Alternatively, all 4 villas on the Prascari Estate can be rented together for larger groups. 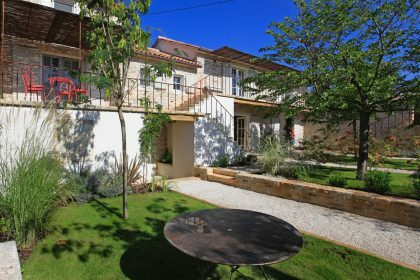 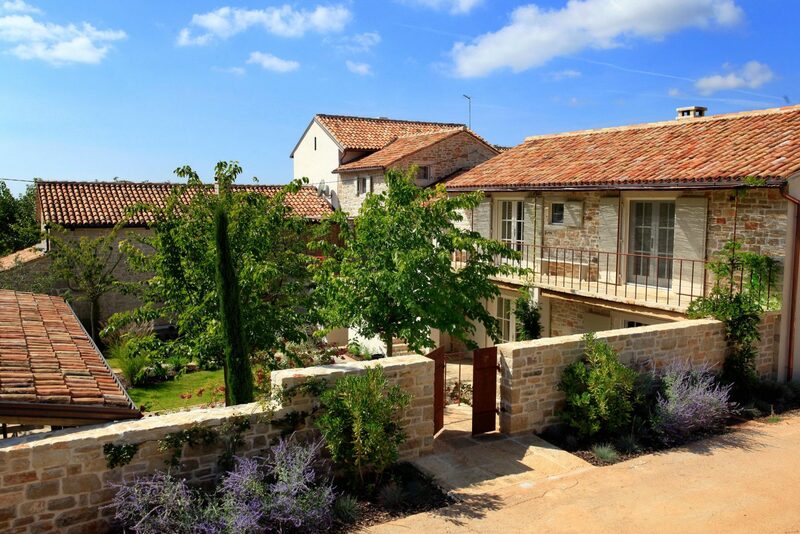 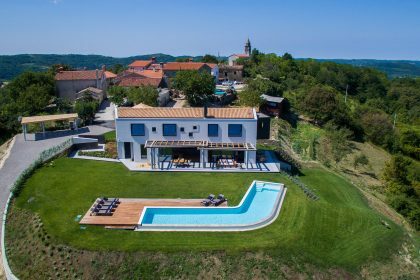 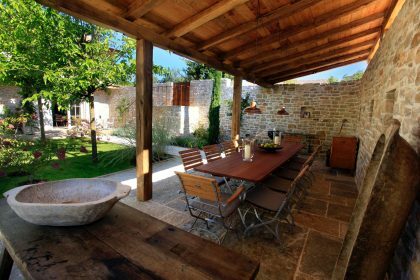 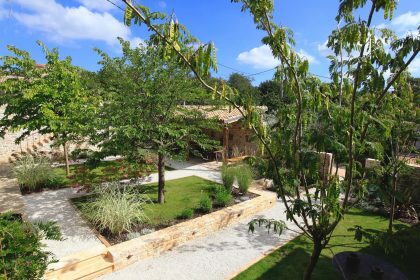 This is a really lovely conversion on a beautiful Istrian estate – near to the other houses on the estate but entirely separate, Cipresso has the feeling of an undiscovered gem. 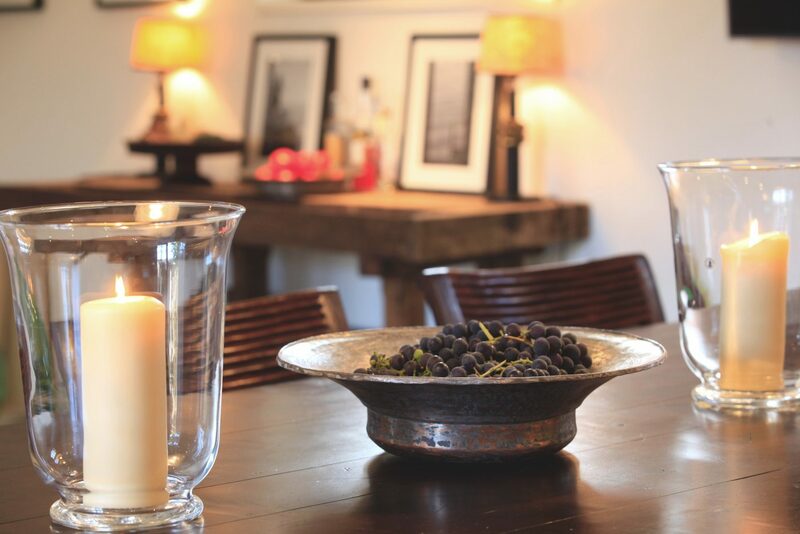 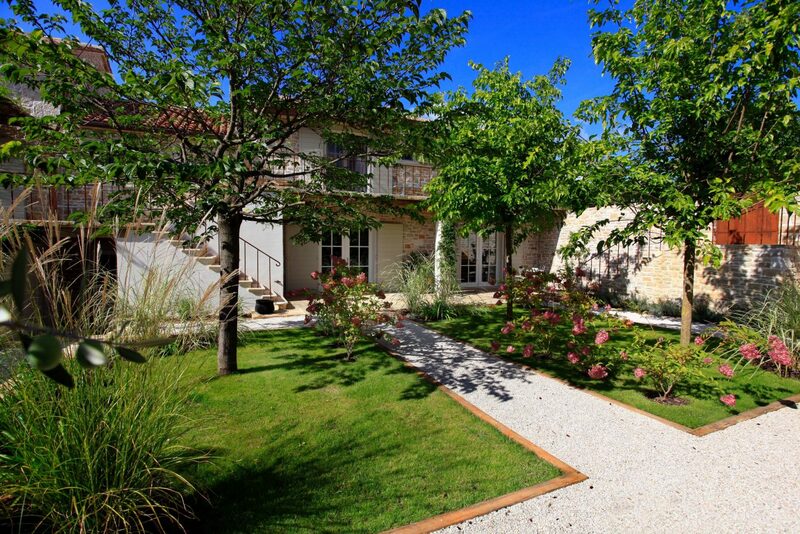 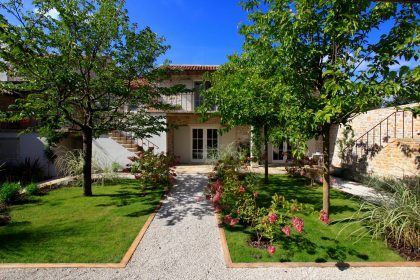 The house is set in a beautiful garden which is laden with flowers and has great views of the countryside. 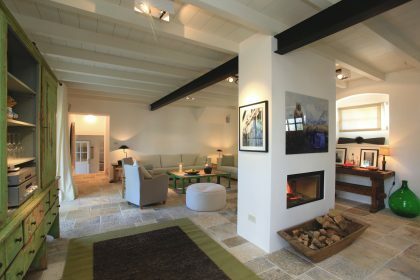 No expense has been spared by the owners who have kept the elegance of the old building but created a haven of comfort and style. 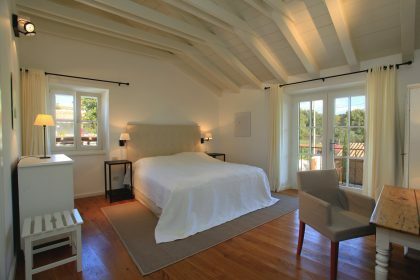 The four immaculate bedrooms are painted in muted colours with elegant white wooden furniture – you’d be forgiven for thinking you’d set foot in a Farrow and Ball showroom! 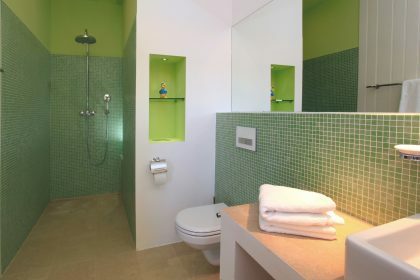 The bathrooms are large with lovely tiles and fluffy towels. There is a great TV room for the children (or adults!) 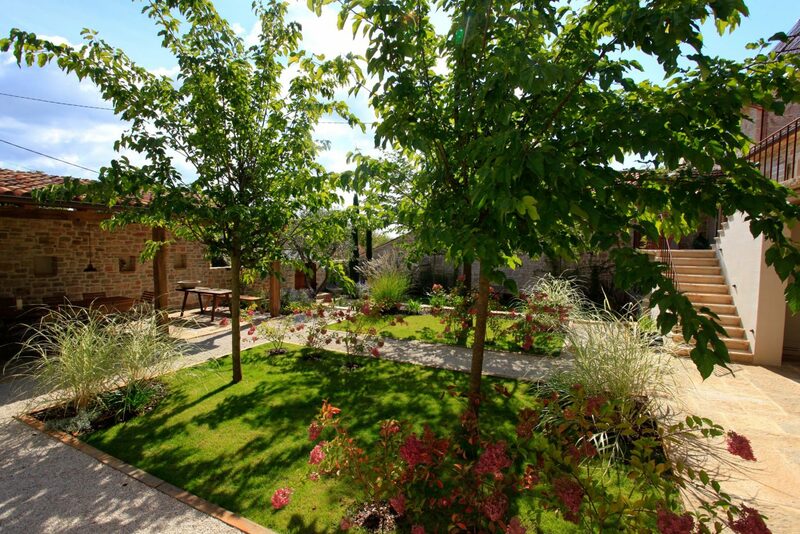 – a good place to pop little people when the sun is at its highest. 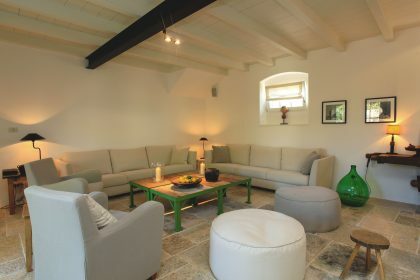 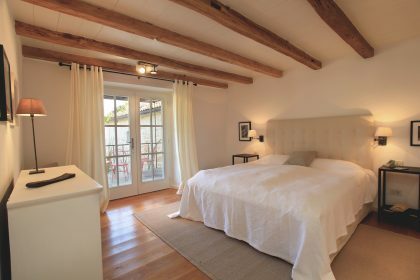 This room has a sofa bed which can be used for children – which takes the house up to 10 people. 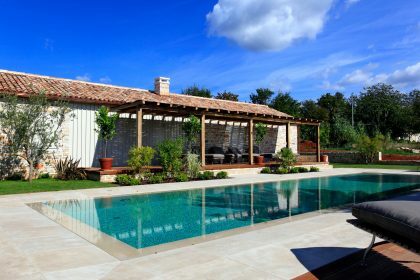 If you can get yourself out of the house you’ll love the large garden and fabulous pool area – a cabana-style pool house is just the spot for you to spend your days under the warmth of the Croatian sun. 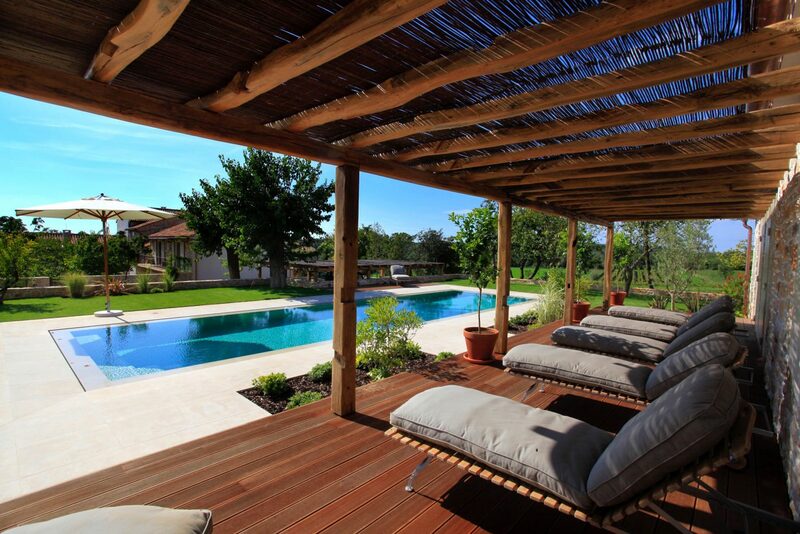 And those amazingly comfortable sun beds! Deep dark-coloured cushions – so stylish! The coast is just 20 minutes by car so you can have the fun of the beach and some delicious fresh fish day or night.